A renowned author and researcher, Mr. Reed holds SPMC membership #4912. He served the SPMC as secretary from 1998-2012; governor 1998-2001; nominating committee chair 1999 and Wait prize chair 1999-2014. He also served as editor for Paper Money from 1999-2014 taking the publication to new highs and winning multiple ANA and NLG awards for the magazine. He was award a president's award of merit in 2000 and 2012 and the Nathan Gold award in 1996 and 2001. He was the first recipient of the Forrest Daniel Excellence in Literature award in 2007. He wond the Wismer, book-of-the-year award three times, in 2010 with his book on encased postage stamps; in 2010 for his book on postage stamp envelopes in 2014 and in 2013, he shared the award with co-author Pierre Fricke with their book on Collecting Confededarate currency. 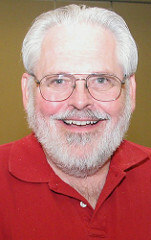 Fred was also a recipient of an ANA president's award in 2011.